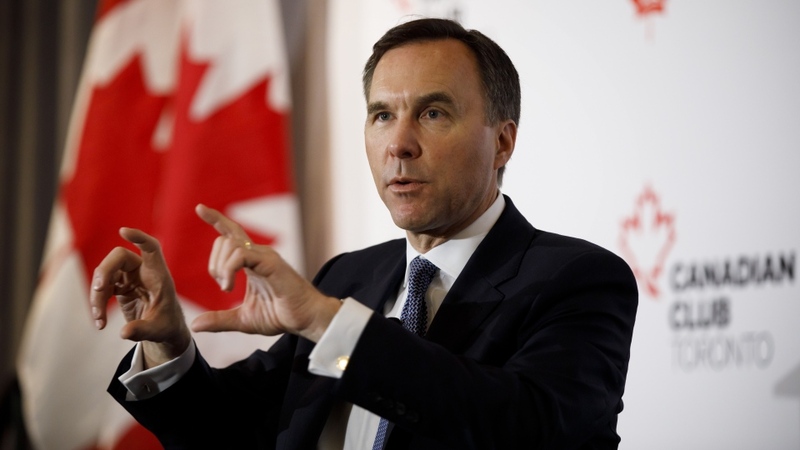 TORONTO -- Federal Finance Minister Bill Morneau kicked off his post-budget sales effort Wednesday, defending his Liberal government's strategy of investing in consumer confidence and deflecting suggestions that it could lead to higher home prices in overheated urban markets. But he's insisting that the government has also taken prudent steps to ensure that additional demand in sky-high big-city markets like Toronto and Vancouver won't result in higher prices. "When we think about the overall home-buyer market, we have roughly half a million home purchases a year, but 100,000 of them are first-time home buyers," Morneau told a news conference after an early-morning speech to the Empire Club in Toronto. "All these measures to increase supply, which is fundamentally what we need in markets like Toronto and Vancouver, and then very targeted issues around how we can help first-time home buyers," he said. "We've been carefully able to help those families without changing the overall dynamics." Even as Morneau spoke, Conservative Leader Andrew Scheer was addressing caucus members in Ottawa, portraying Justin Trudeau's Liberals as a big-spending government with nothing but disdain for the idea of balanced budgets. "During the televised leaders' debate, he said this: 'I am looking straight at Canadians and being honest the way we always have... We will balance the budget in 2019,"' Scheer said to the laughter of his caucus colleagues. "Canadians who don't have family fortunes like him know ... that you can't borrow your way out of debt and you can't make other people pay for your mistakes." "First and foremost, we want to make sure we make the investments that give people the optimism for the future, and that is our first priority," he said. "That approach has clearly worked -- we have a much better situation for Canadians with better job numbers and fewer people struggling to get by than we had three and a half years ago; we're going to keep investing in that way." Rather than focusing on the bare deficit, the Liberals prefer to talk about Canada's debt-to-GDP ratio, or what the finance minister described Wednesday as "debt as a function of our economy" -- a lens that puts a much rosier tinge on the federal books. "We have, as I've mentioned, the lowest amount of debt as a function of our economy among G7 countries; that amount of debt as a function of our economy has been reduced each year we've been in office," Morneau said. "That means we will have the capacity in whatever economic situation to deal with that situation appropriately." 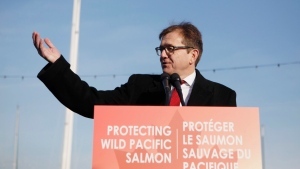 Fisheries Minister Jonathan Wilkinson today is announcing a total ban on oil and gas work, as well as mining, waste-dumping and bottom-trawling, in all of Canada's marine protected areas.